When glamorous Regina inexplicably ends her own life, her ten-year-old grand-daughter Diana is devasted by the loss and haunted by questions she never got to ask her grandmother. Three decades later, Diana discovers her grandmother's journal which gives Diana a window into the unknown events of Regina's tumultuous life, including surviving World War I, the heartbreak of being orphaned, and the pandemonium of events during her immigrations from Poland to Vienna to Paris and finally to the United States.Diana draws strength from her grandmother's example, which sustains her when she receives some of her own shattering news. To share her personal story, Diana must first tell Regina's. 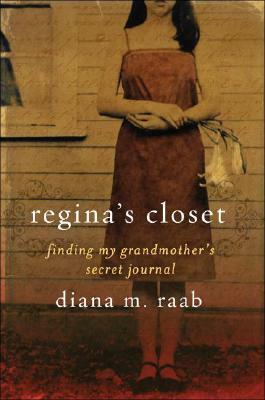 The end result is a unique braided narrative, with excerpts of Regina's diary interwoven with Diana's own life experiences, creating a touching portrait between granddaughter and grandmother, their past and present, loves and losses, and the discovery of their shared legacy.